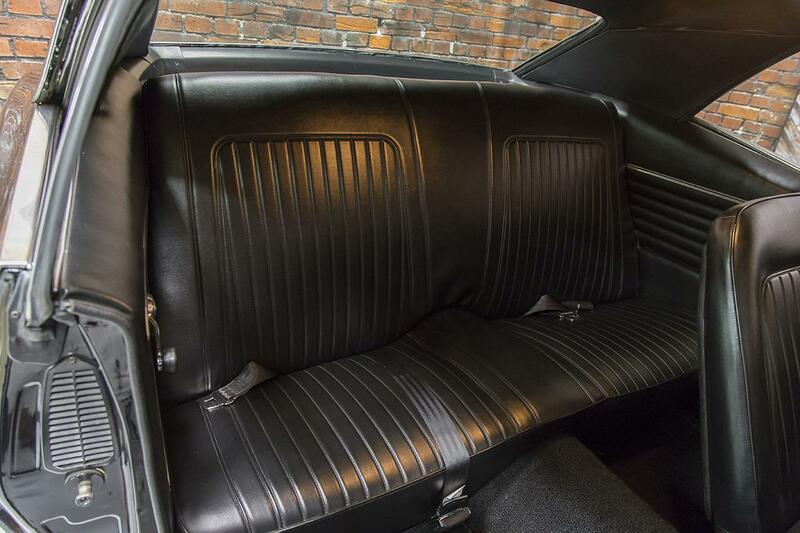 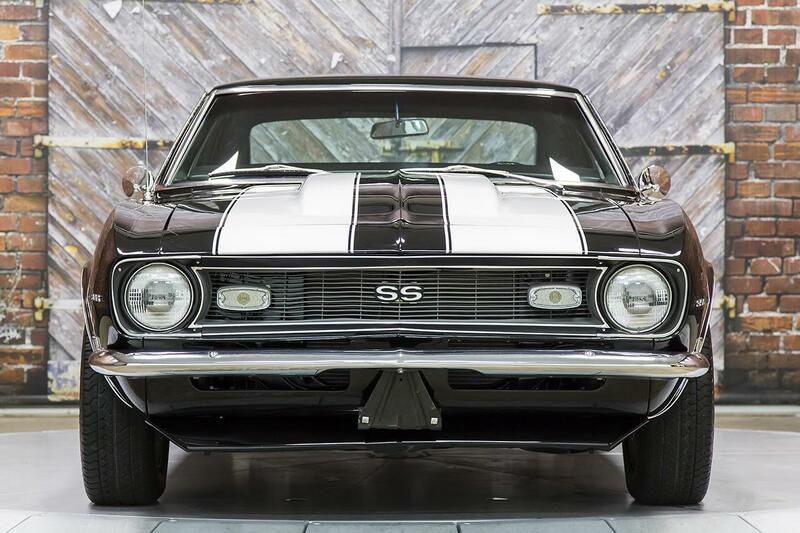 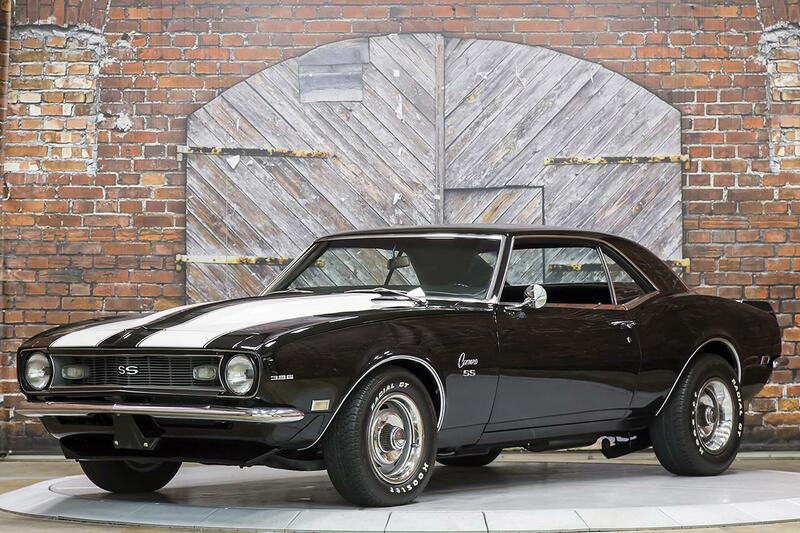 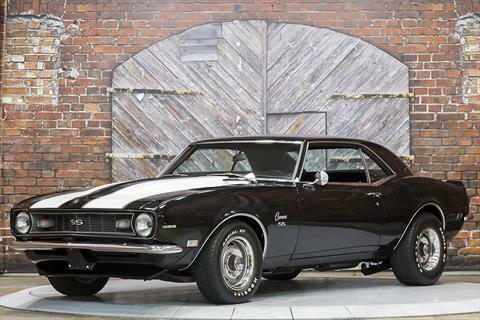 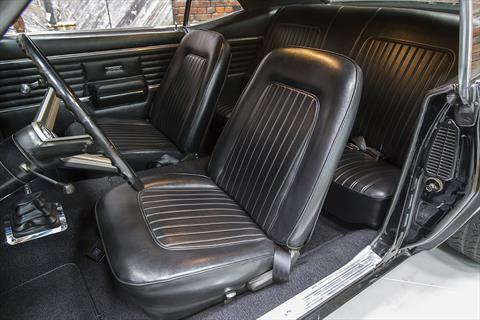 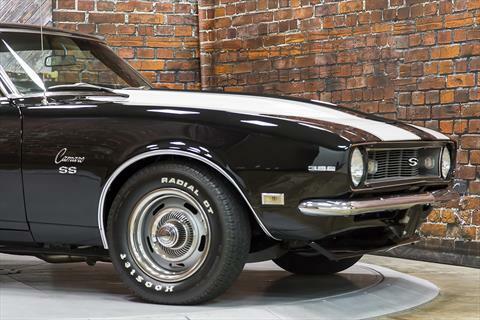 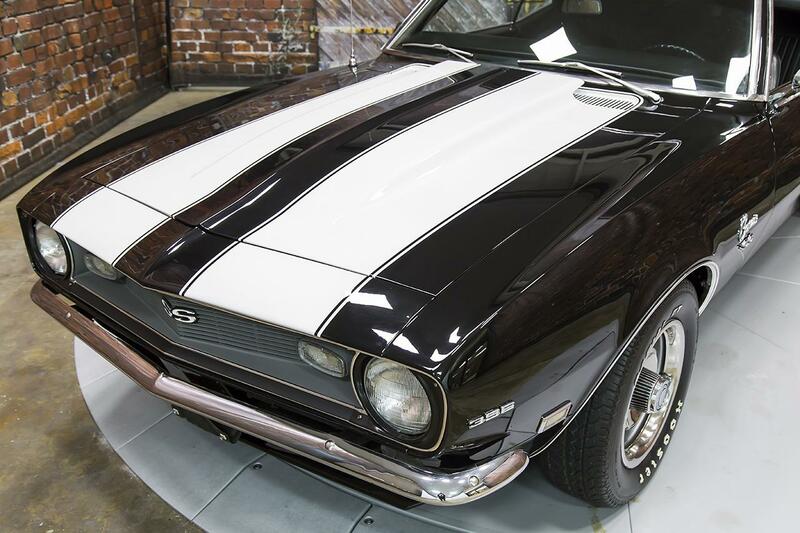 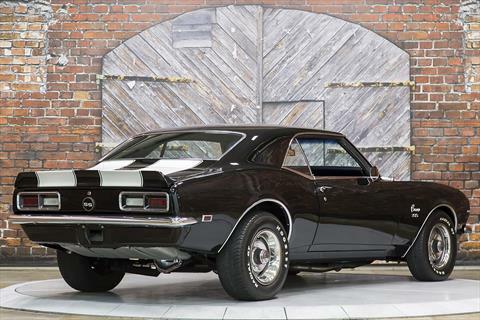 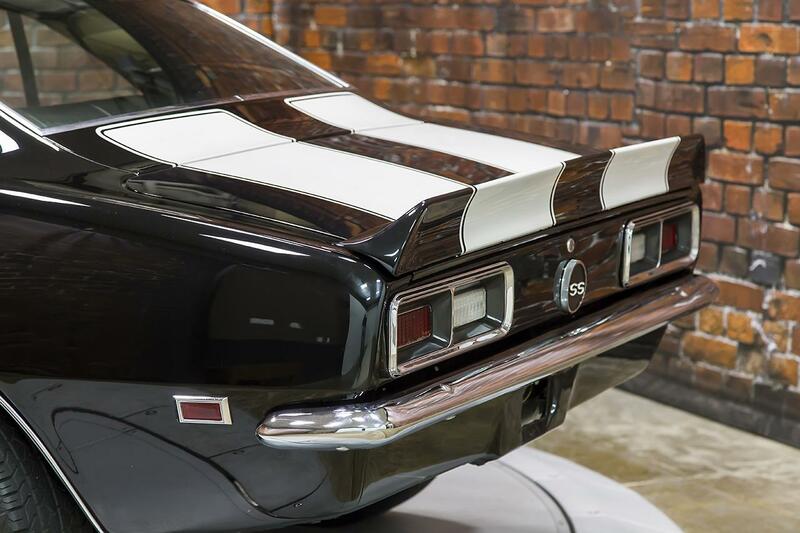 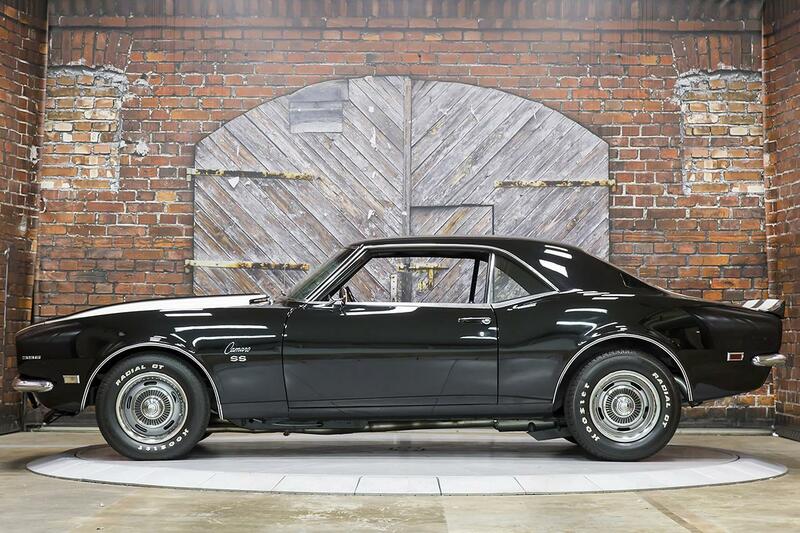 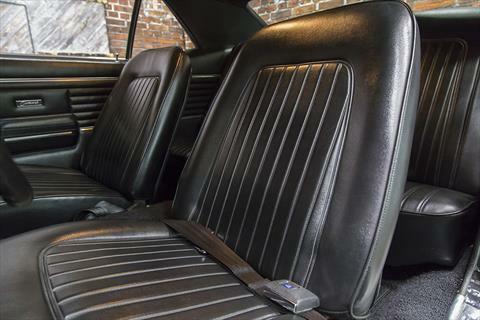 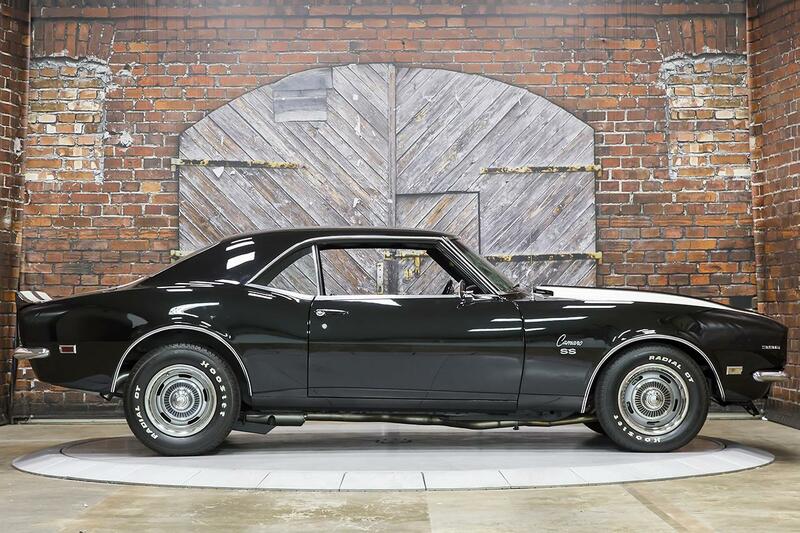 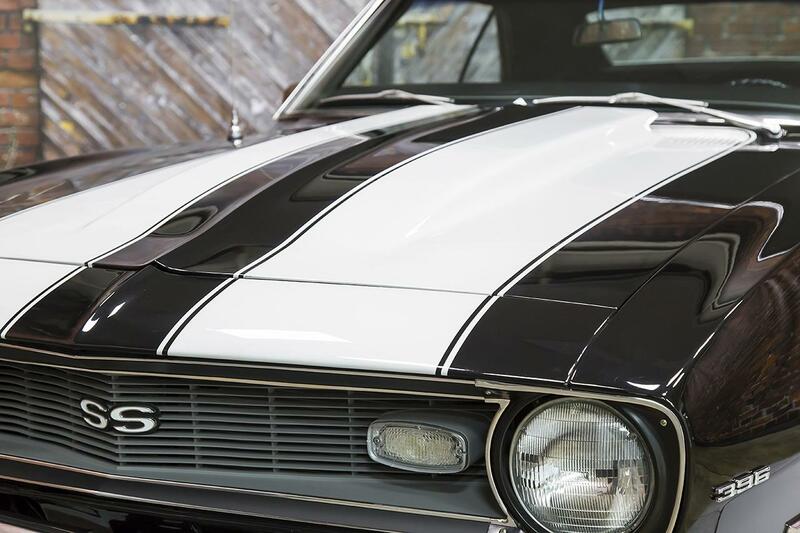 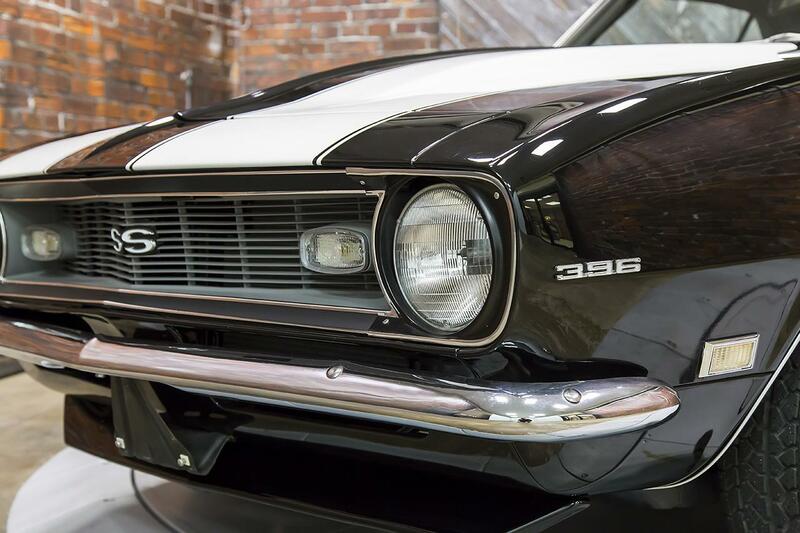 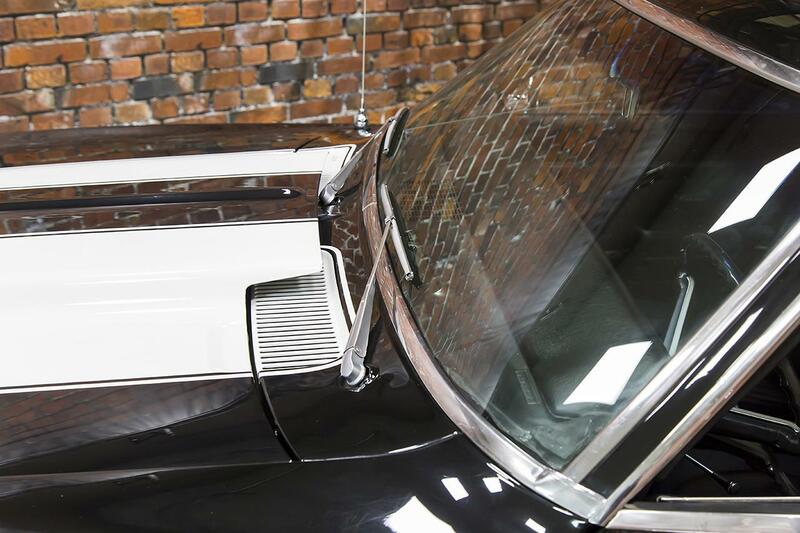 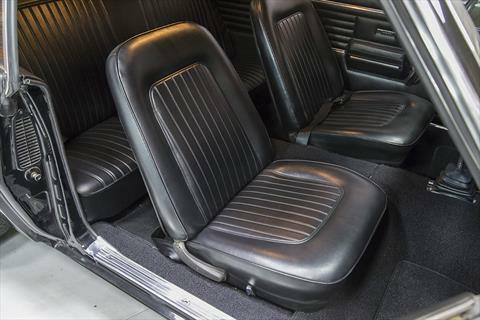 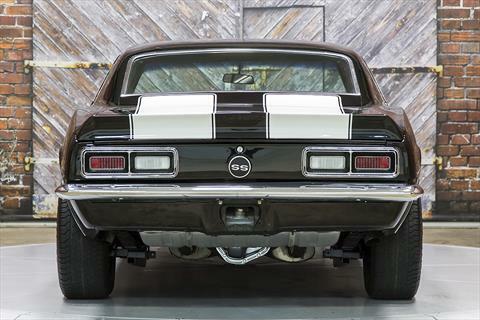 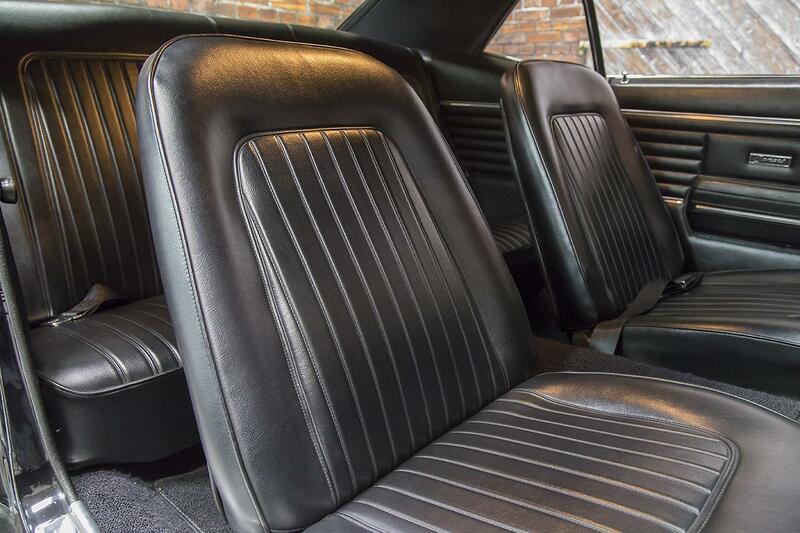 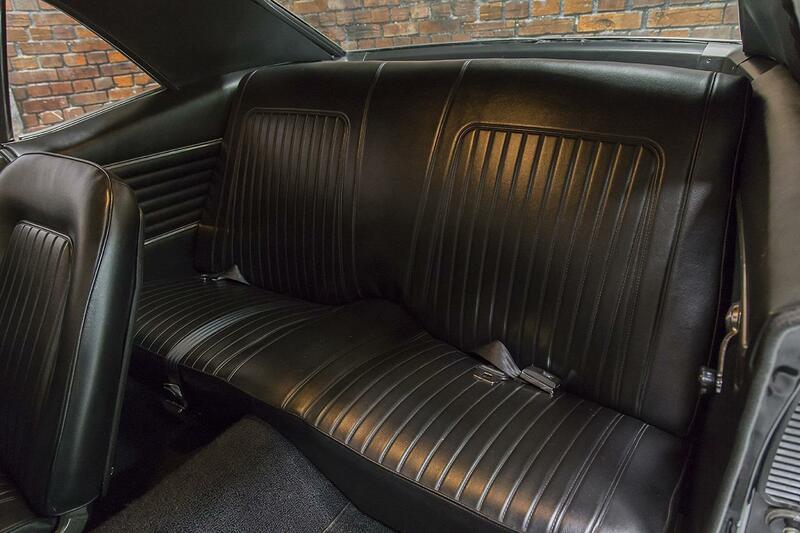 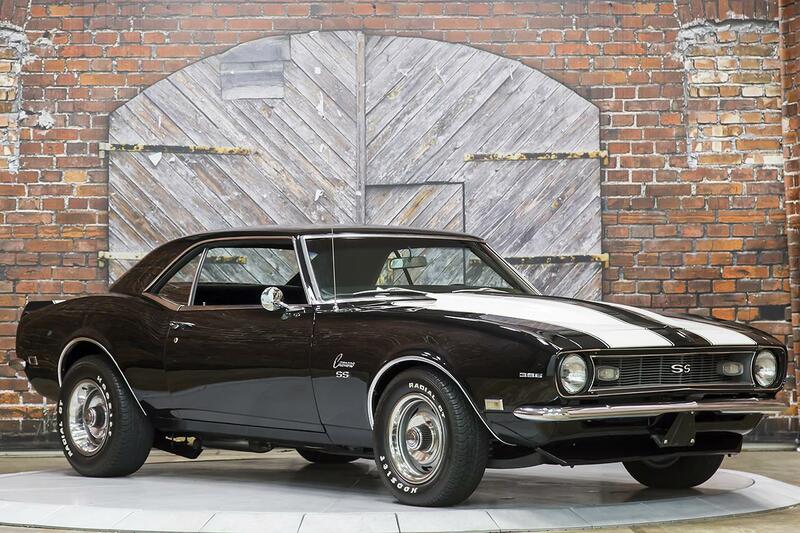 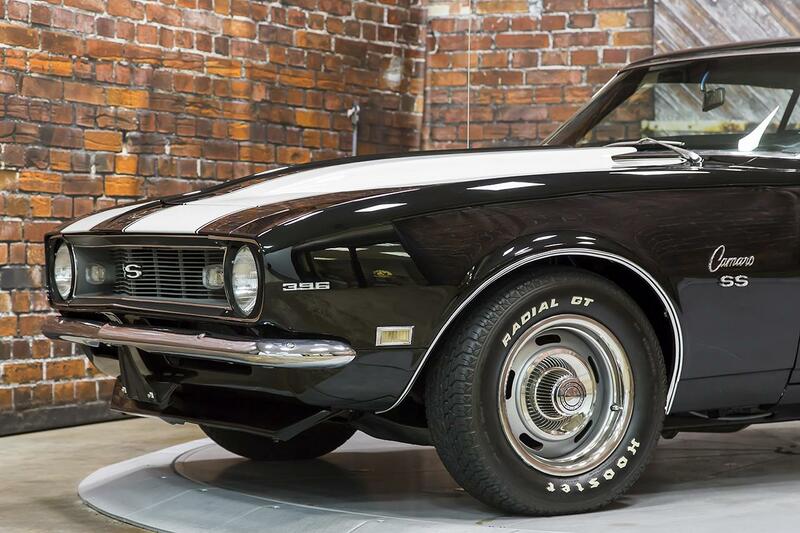 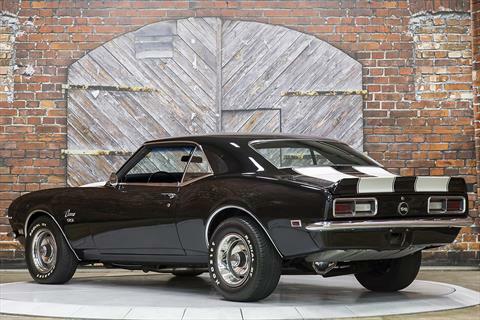 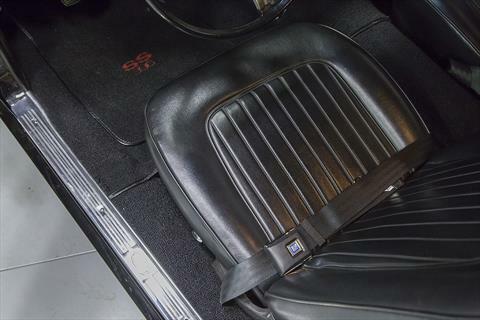 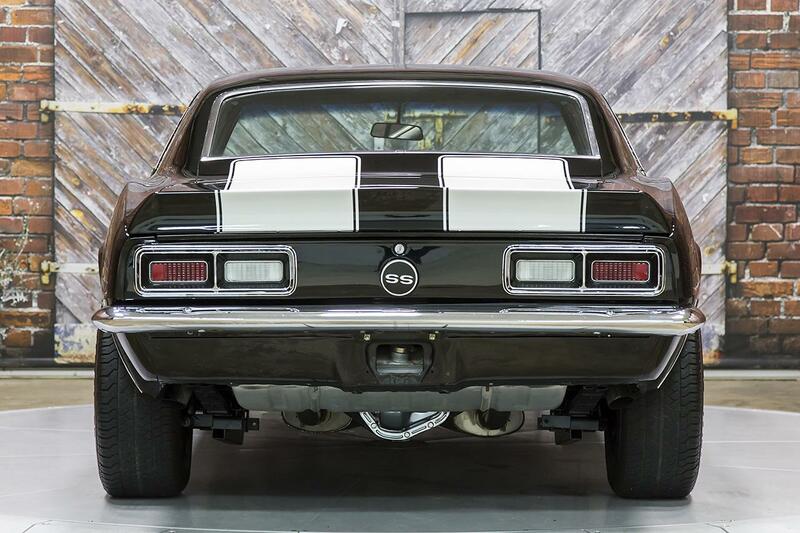 We proudly offer this Well Built 1968 Chevrolet Camaro SS 396 Tribute with TK0600 5-Speed in Black with White Stripes over a Black bucket-seat interior. 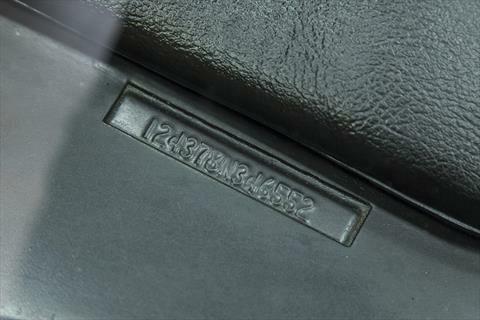 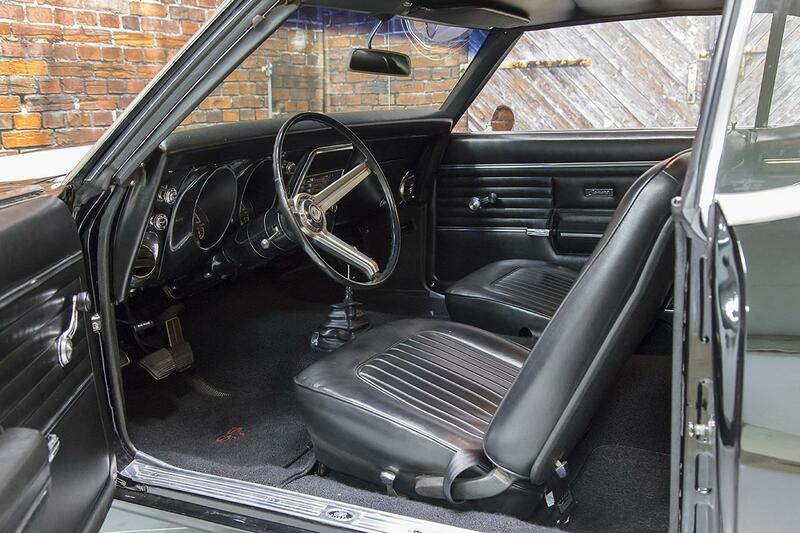 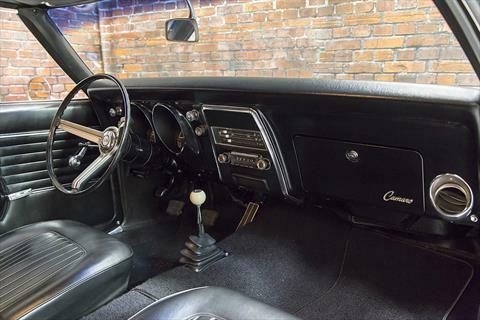 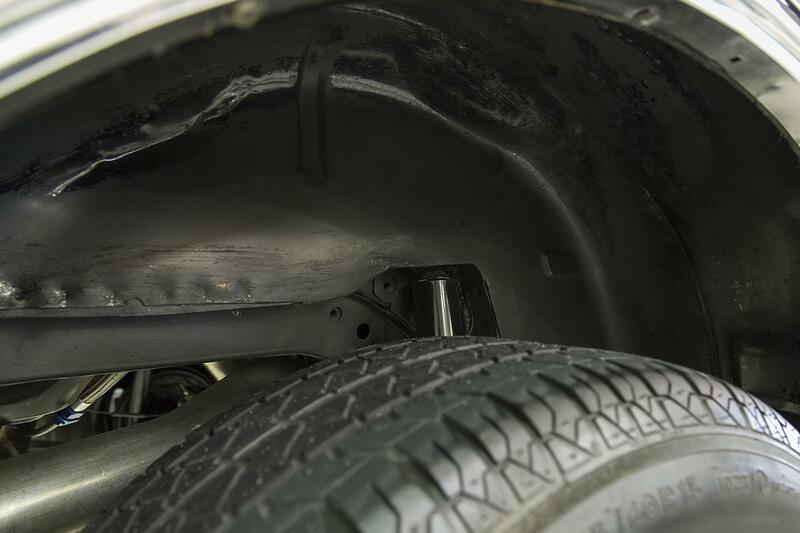 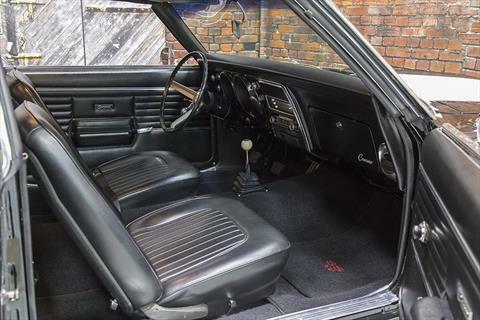 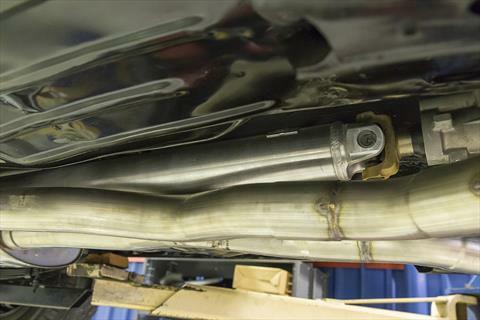 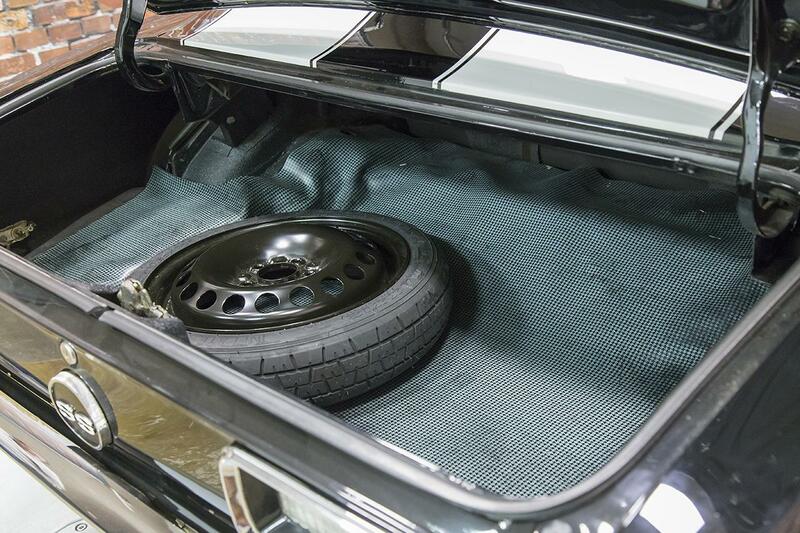 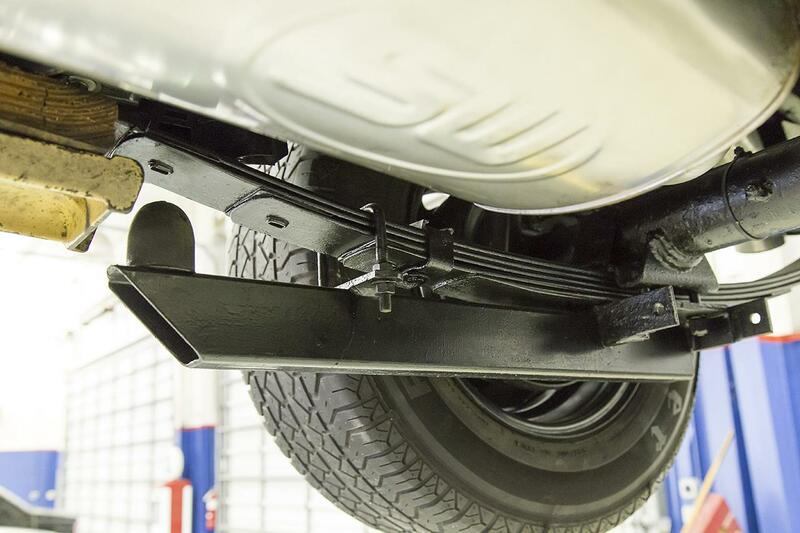 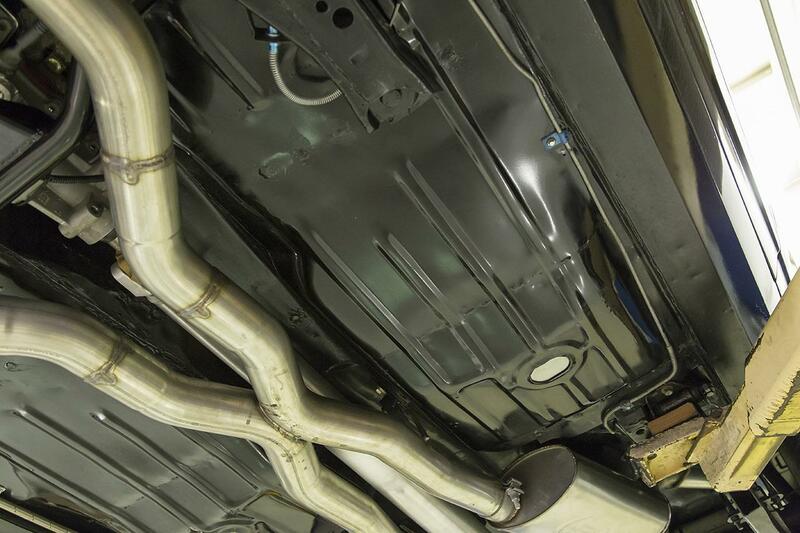 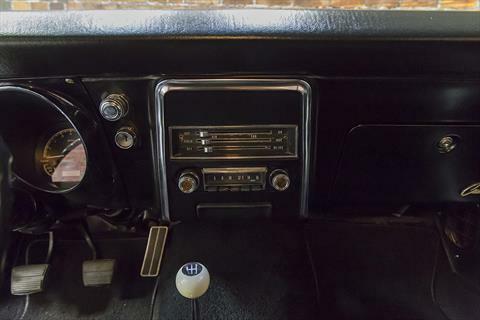 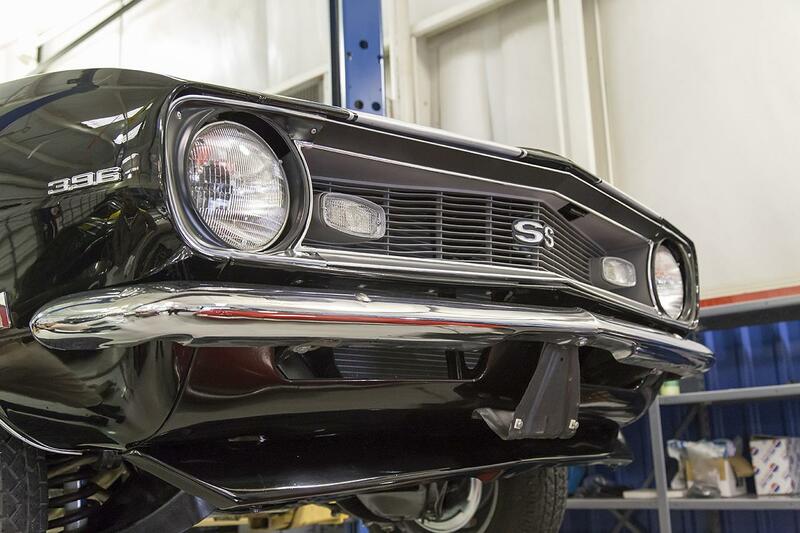 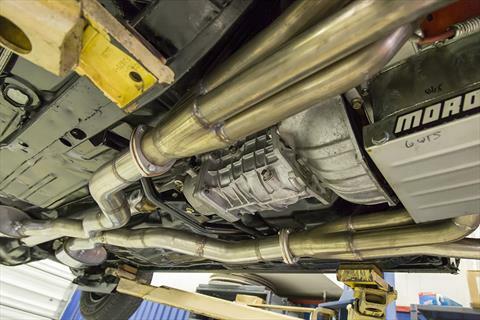 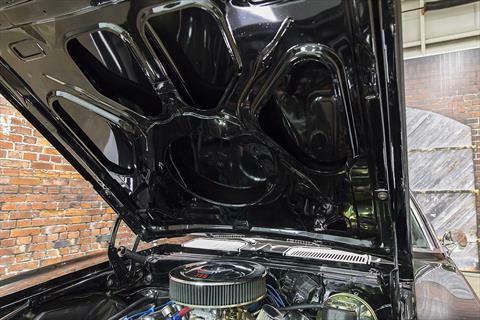 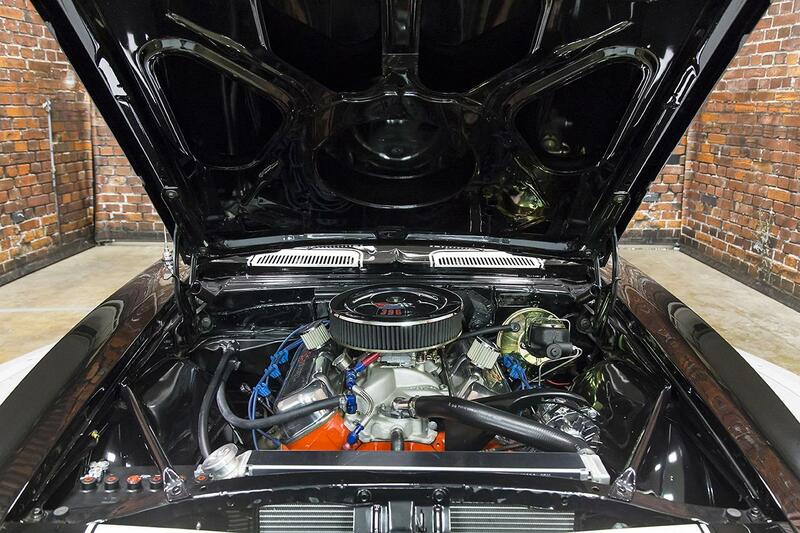 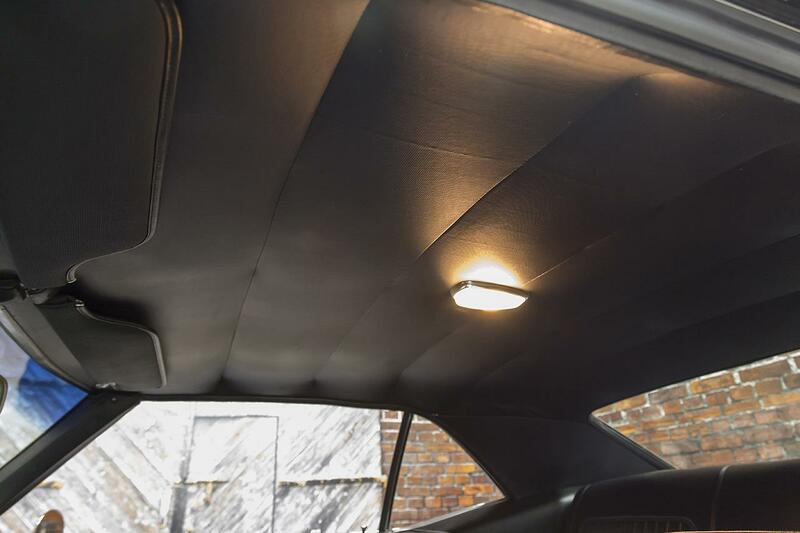 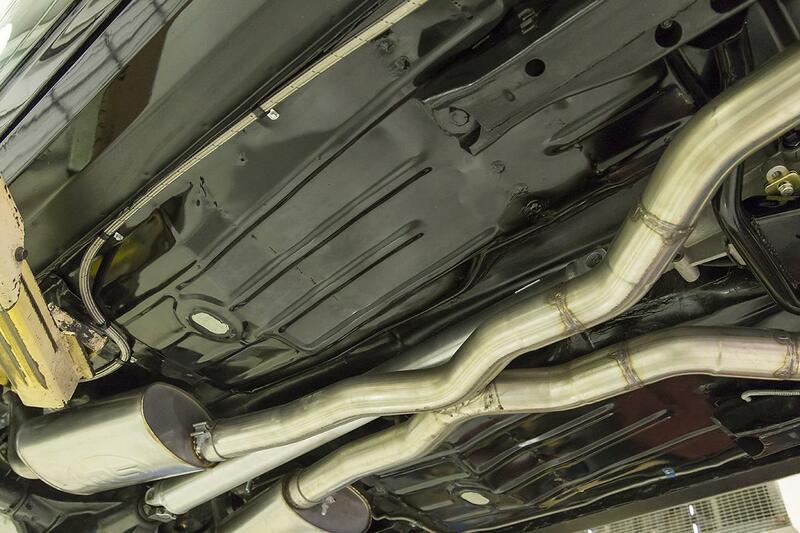 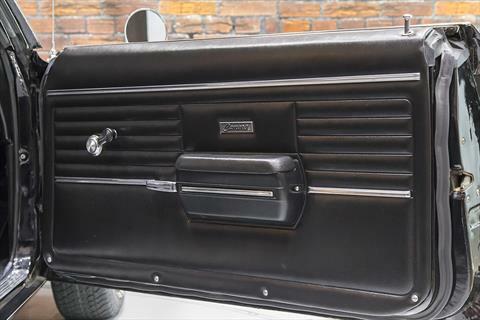 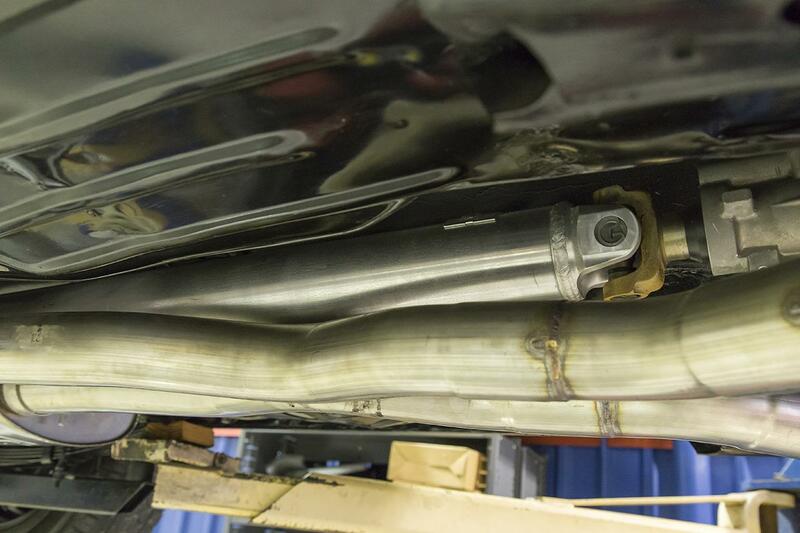 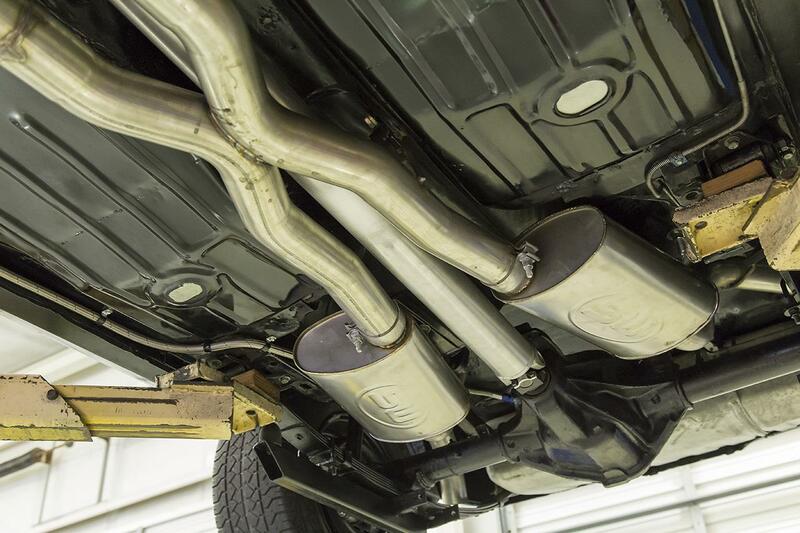 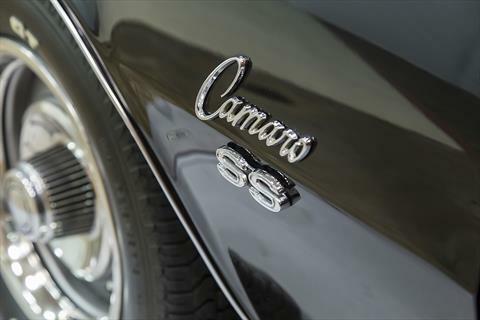 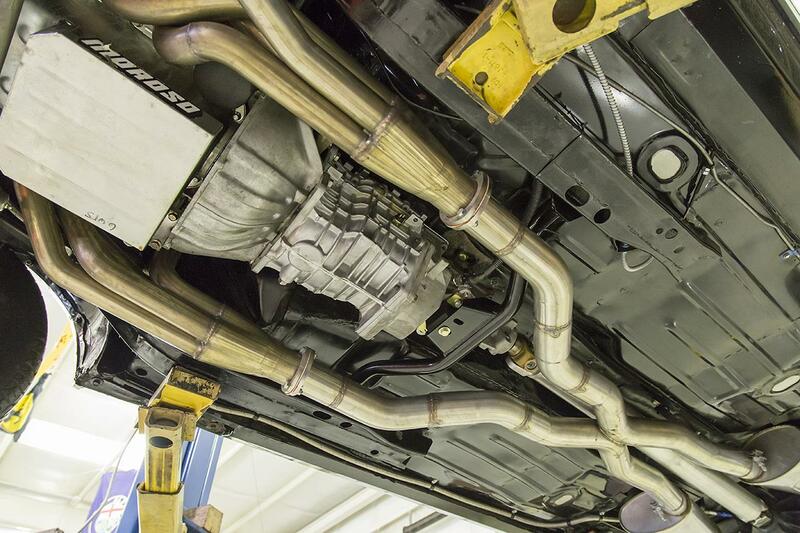 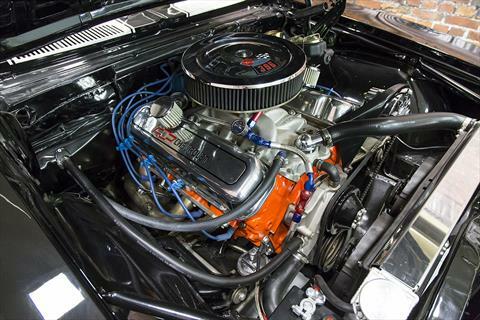 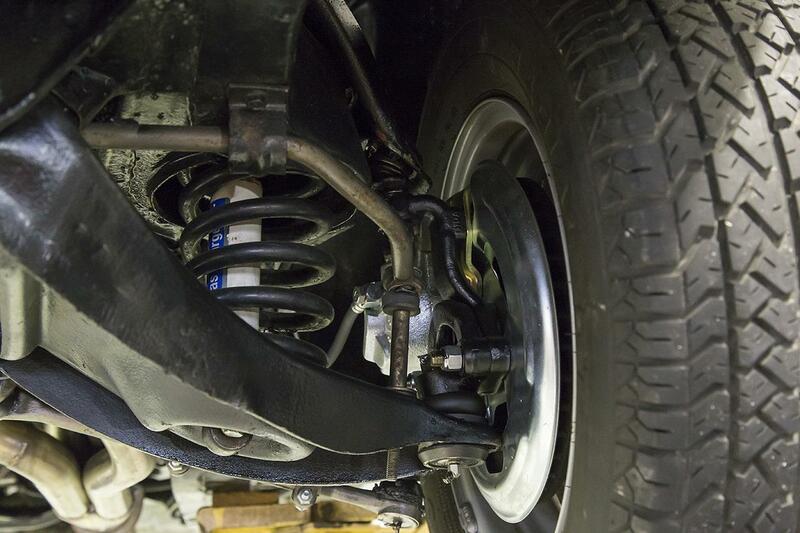 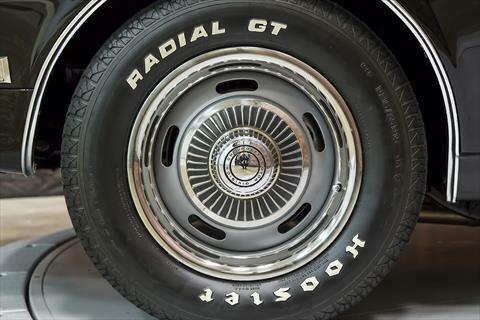 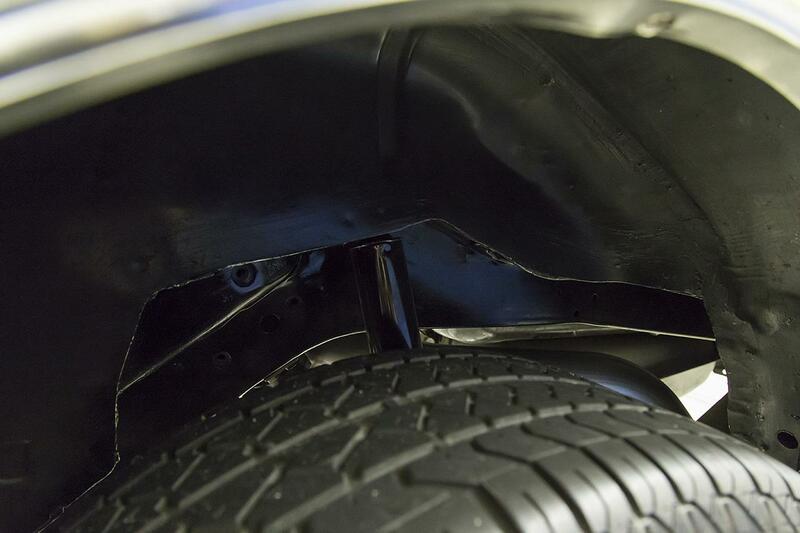 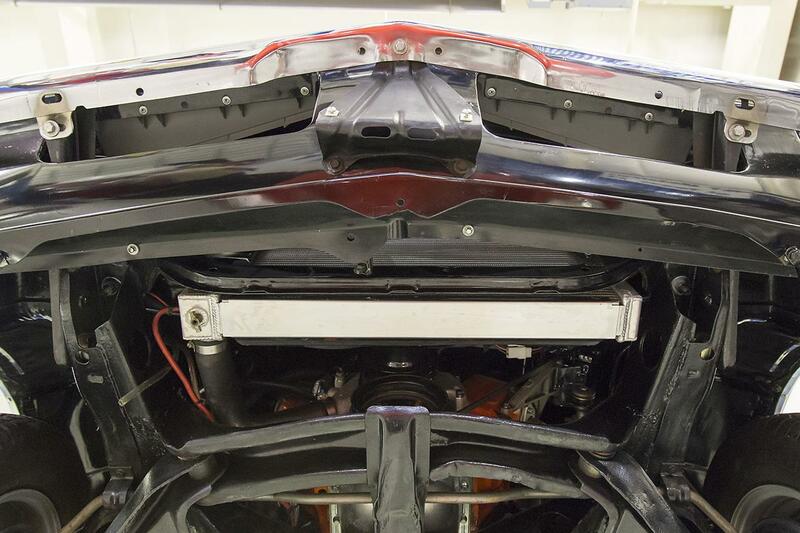 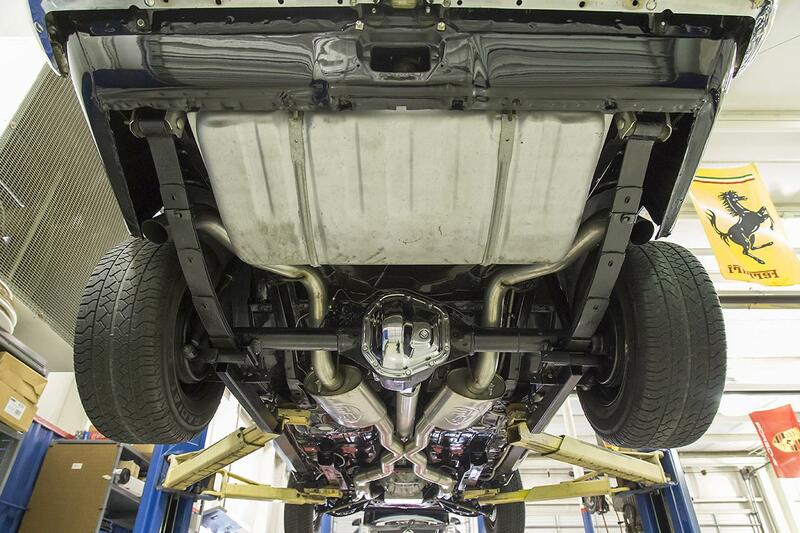 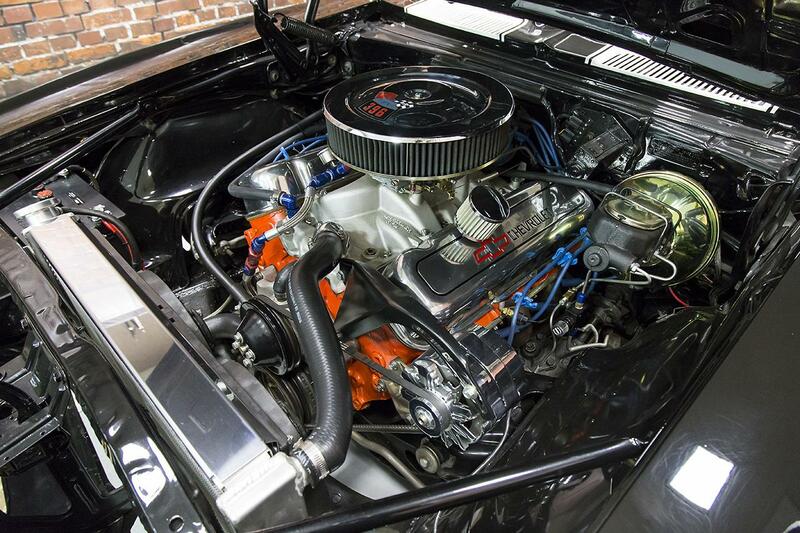 This ’68 Camaro SS features a no-expense spared build totaling nearly $26,000 in included receipts over the past few years as the previous owner built it up to the well-sorted machine that it is today. 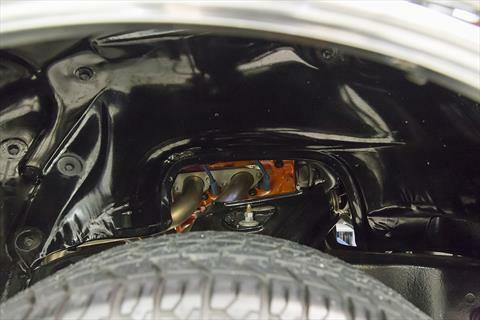 The engine was completely gone through with new balanced internals. 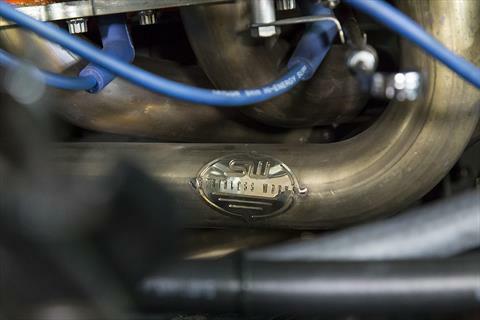 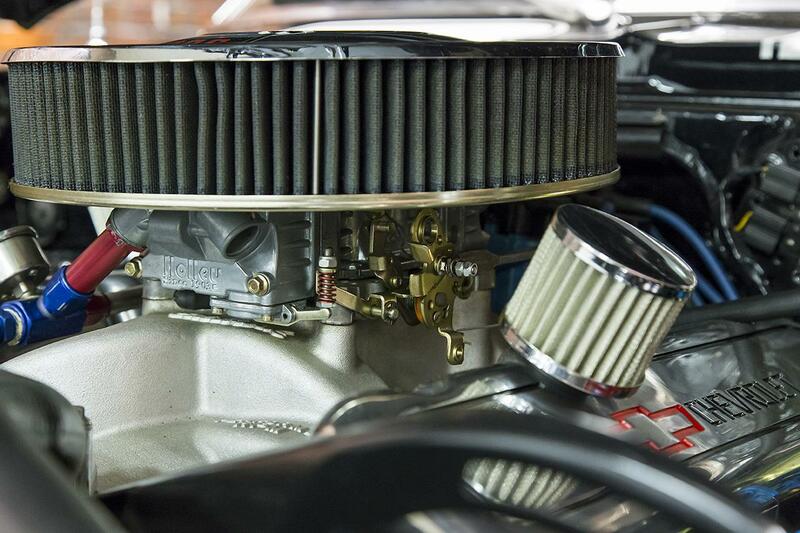 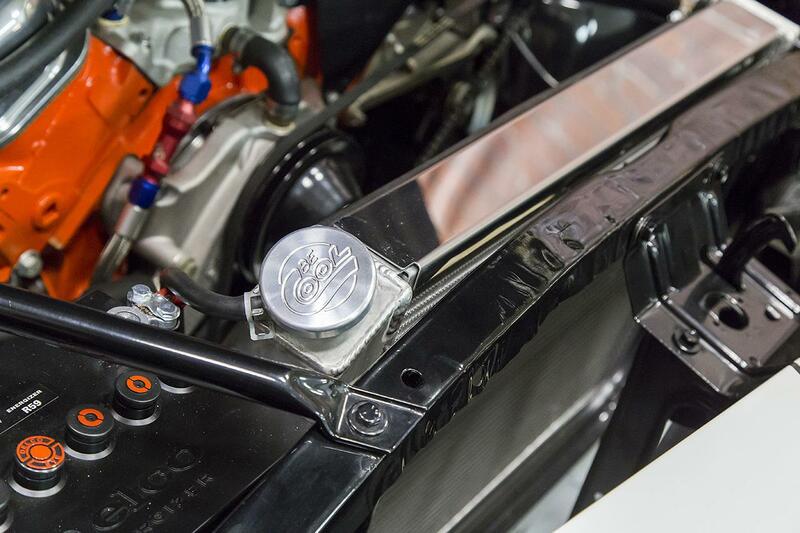 A Holley 670CFM carburetor feeds through an Edelbrock intake manifold and a beautifully fabricated exhaust is fed through Stainless Works headers. 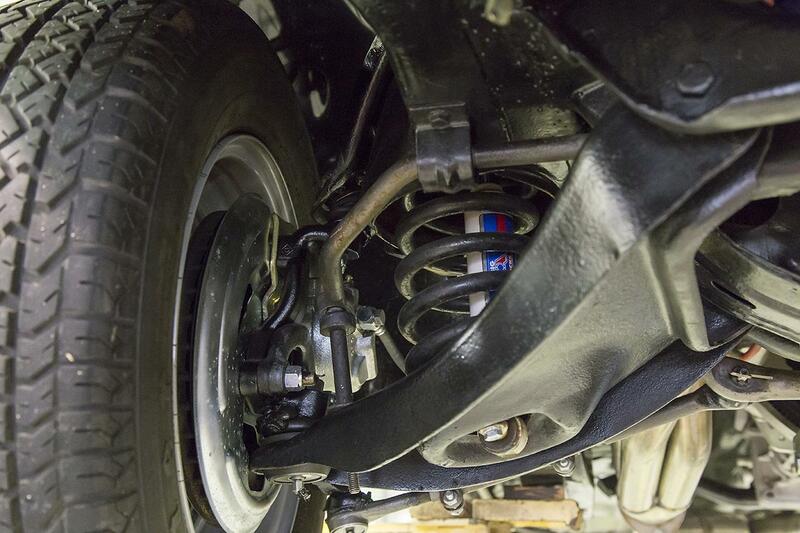 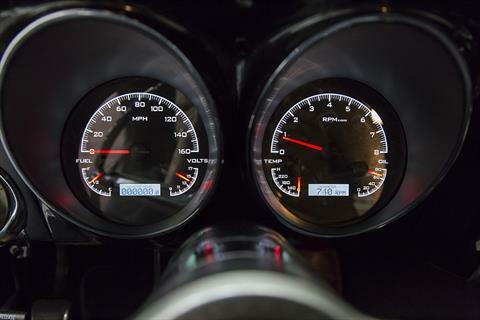 The front end has been freshened for a tight steering feel. 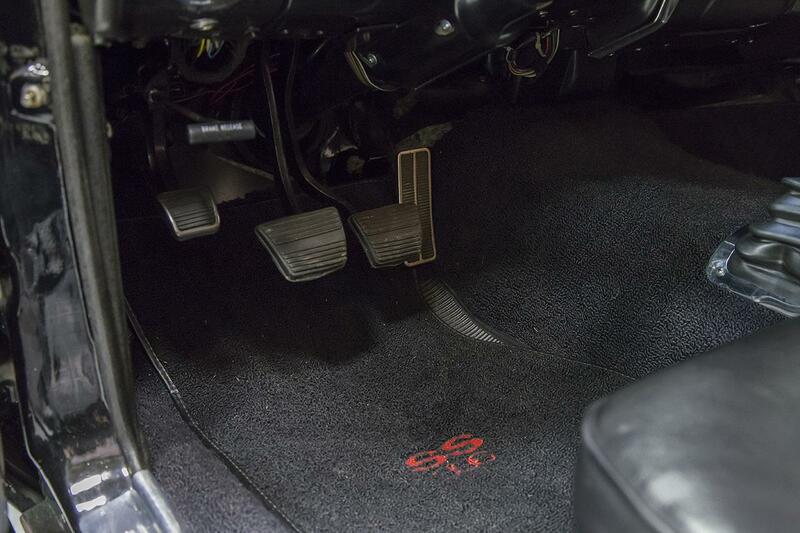 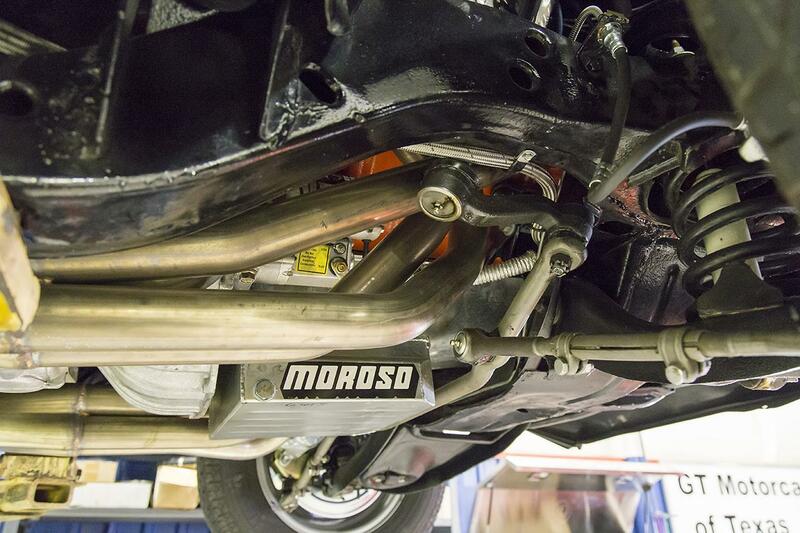 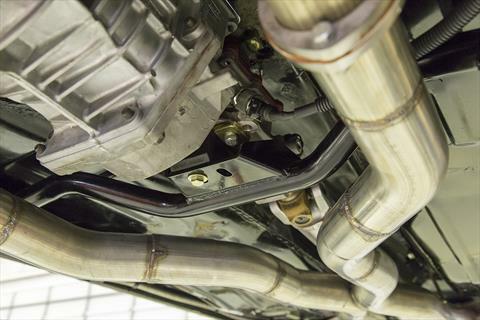 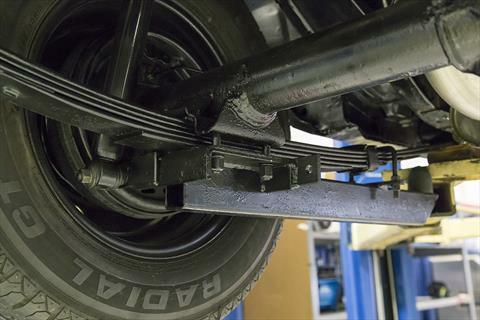 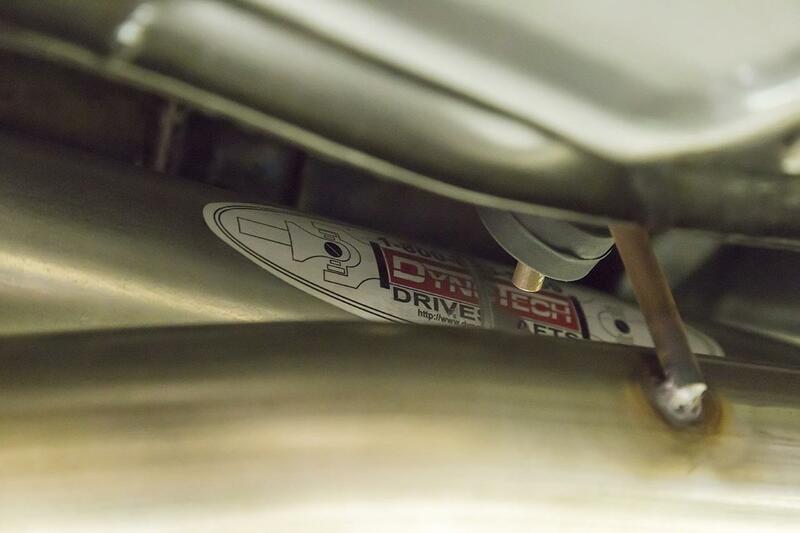 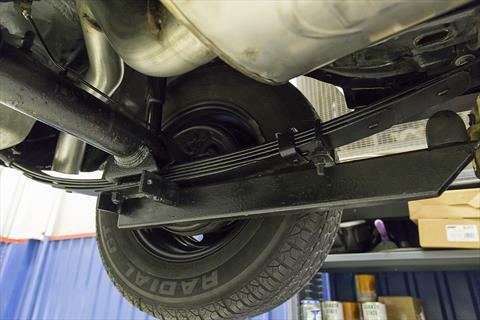 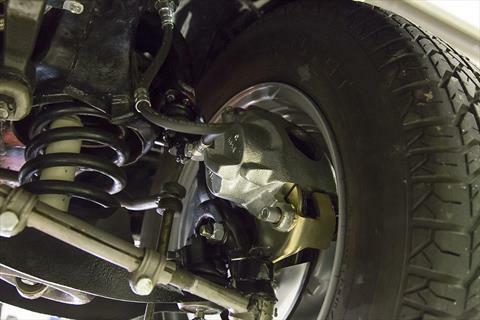 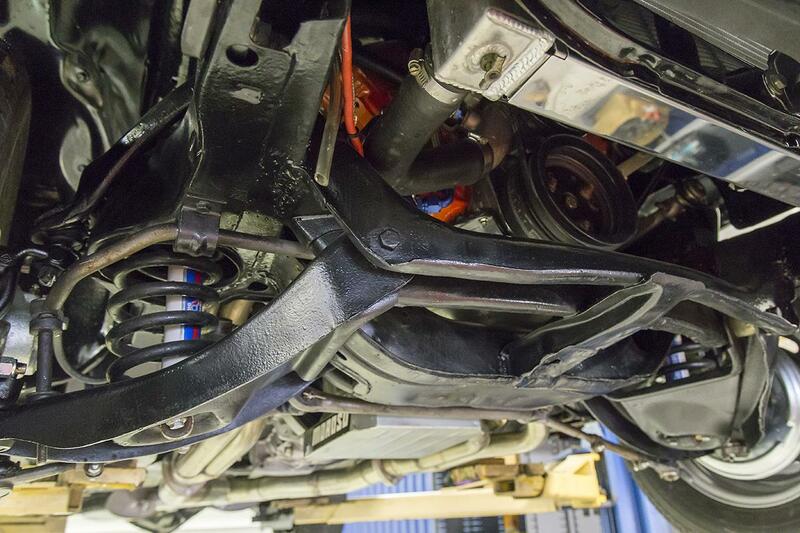 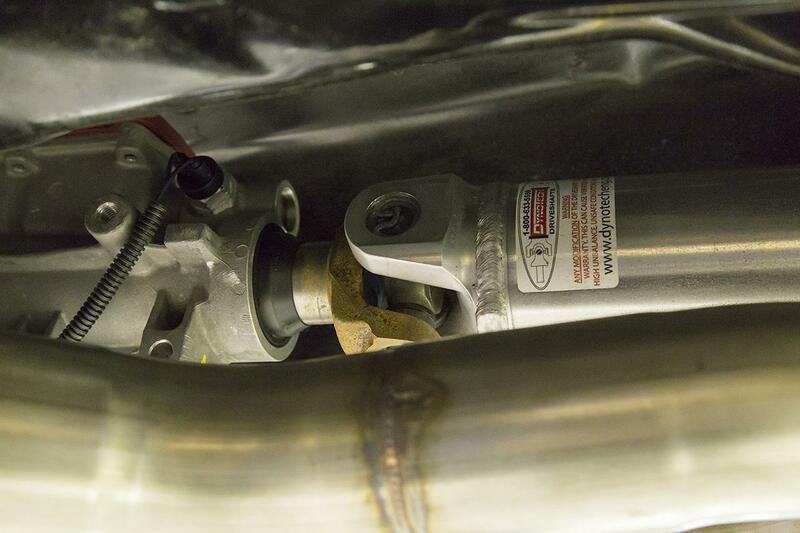 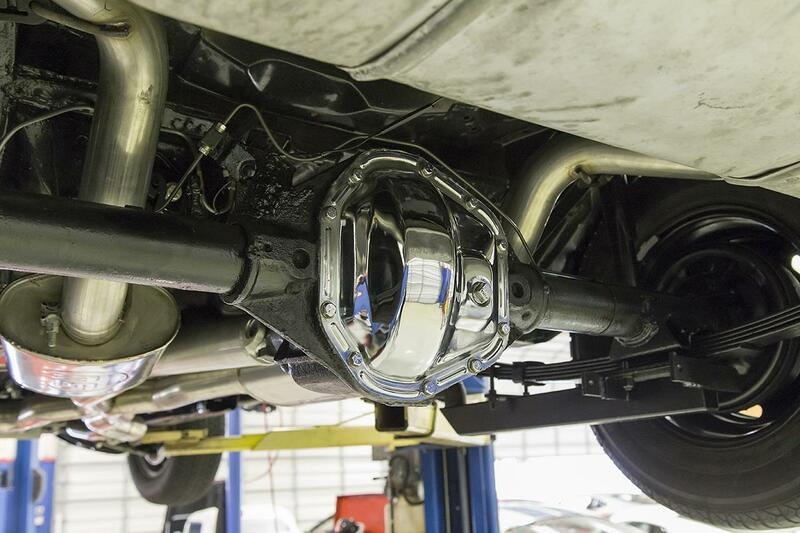 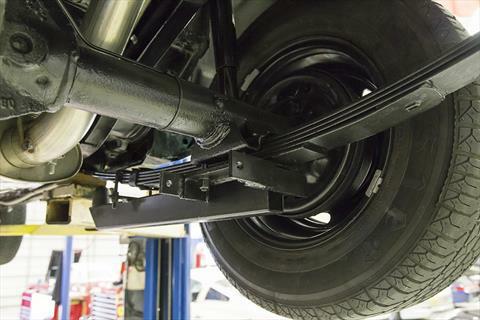 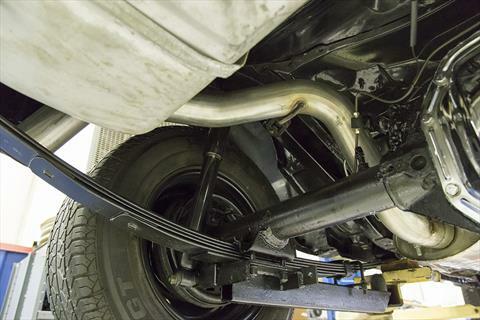 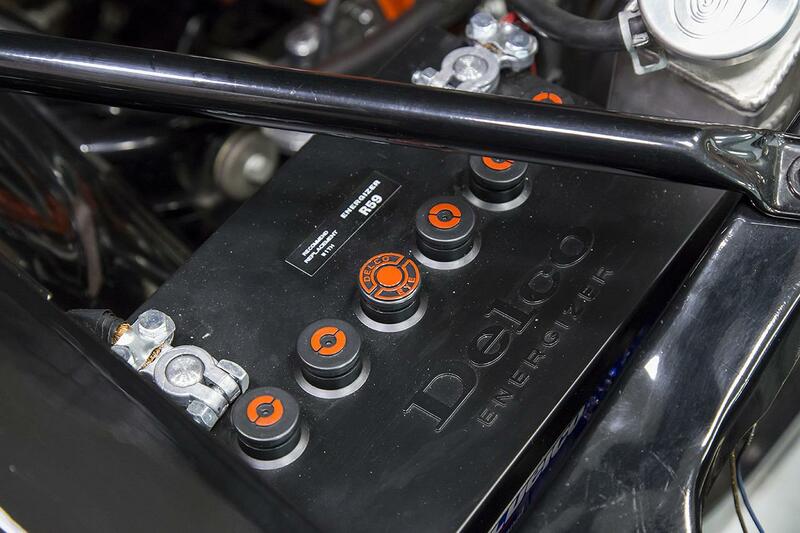 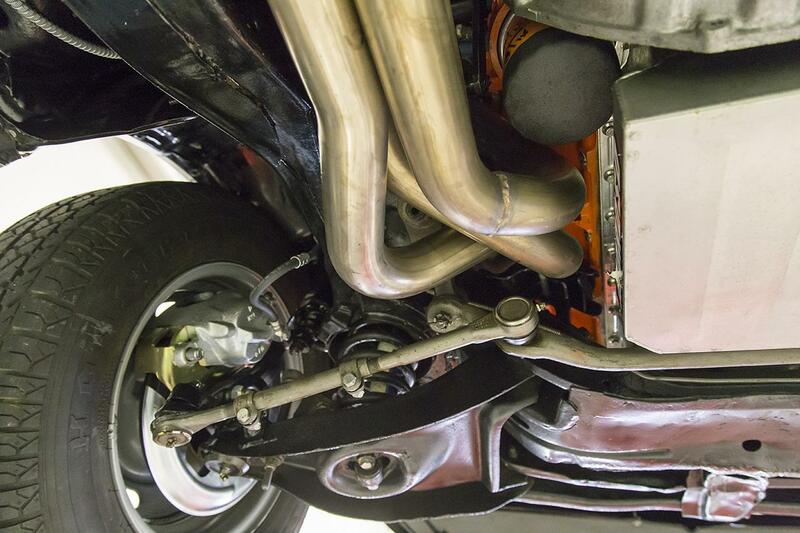 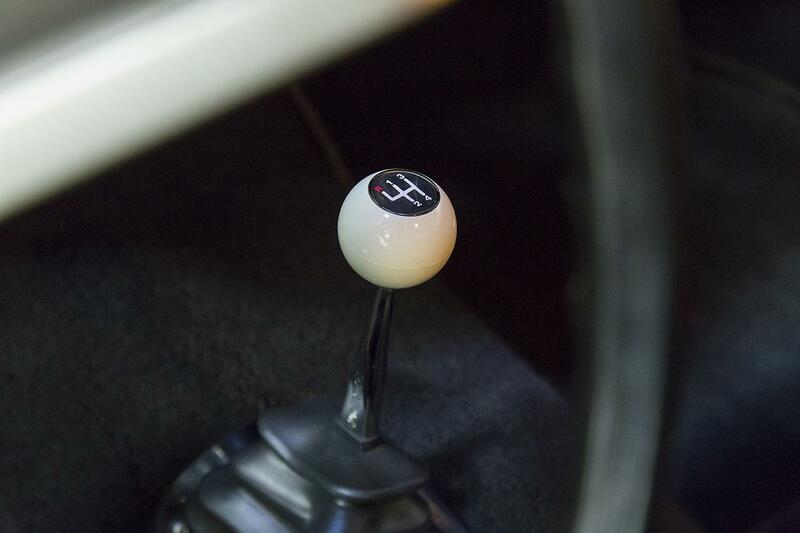 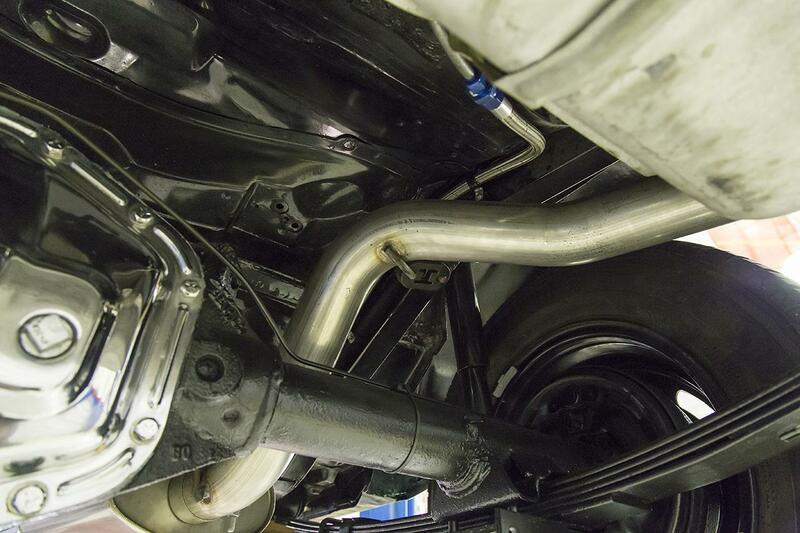 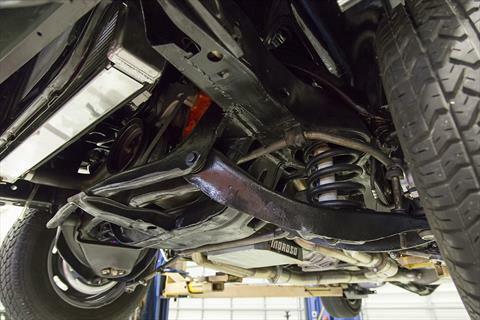 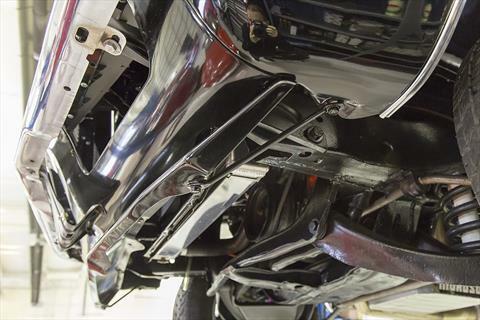 Power is transferred through an upgraded TKO600 5-Speed transmission and custom driveshaft. 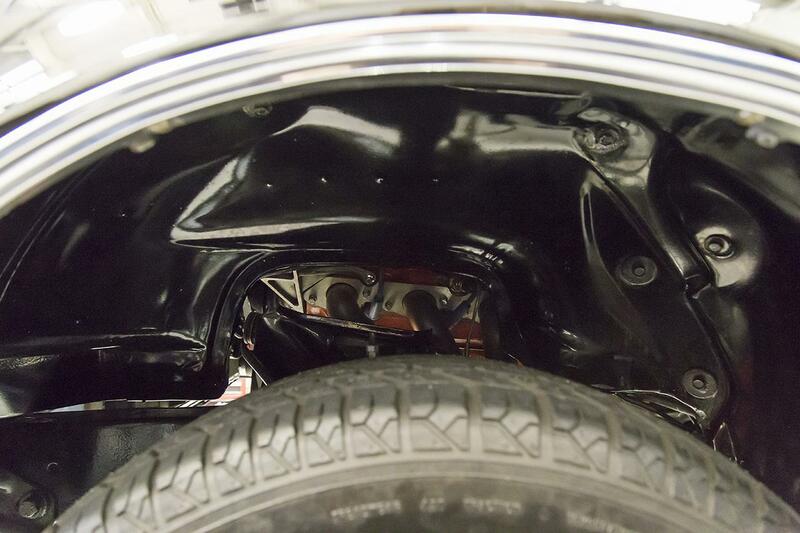 Be sure to view the under-carriage and engine compartment shots for a sense of the great care the previous owner showed this Camaro SS. 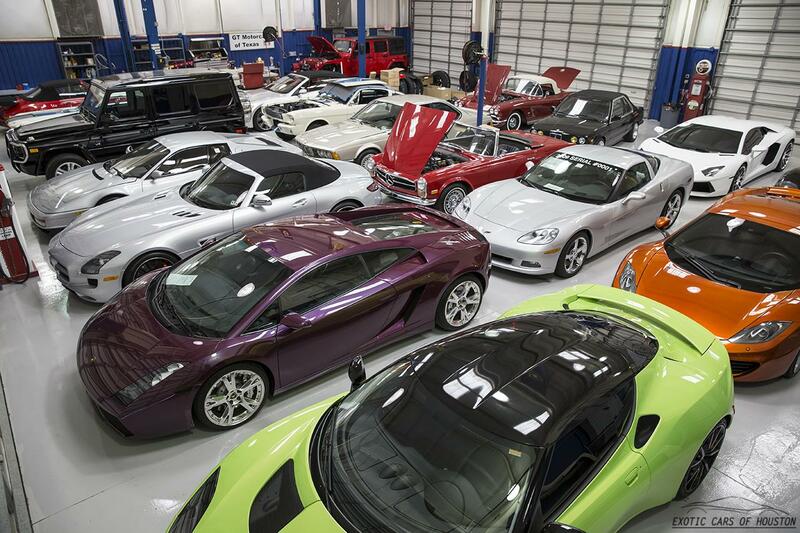 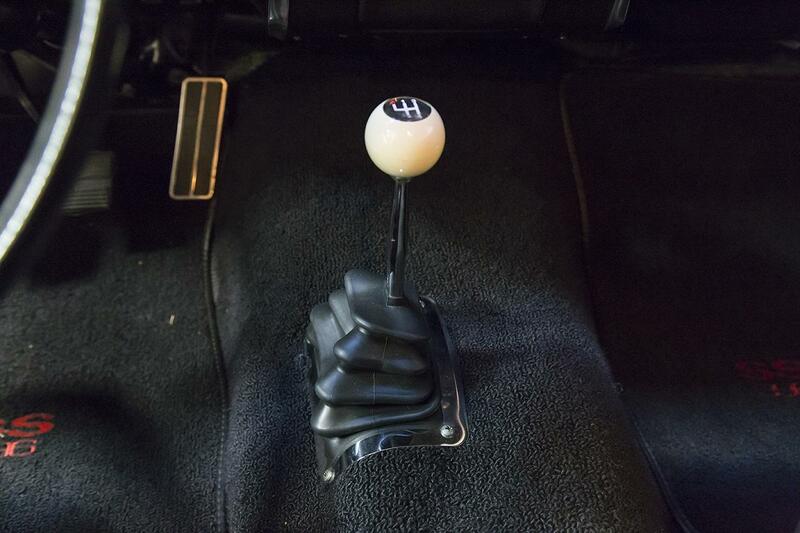 This car starts, runs, drives, and stops very strong. 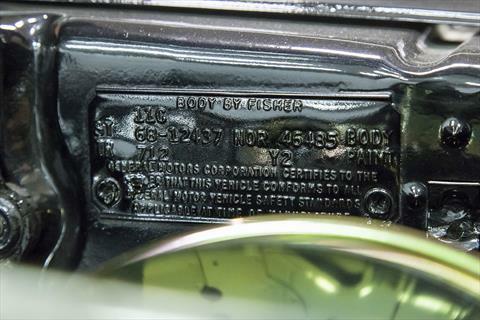 The body is straight and rust free. 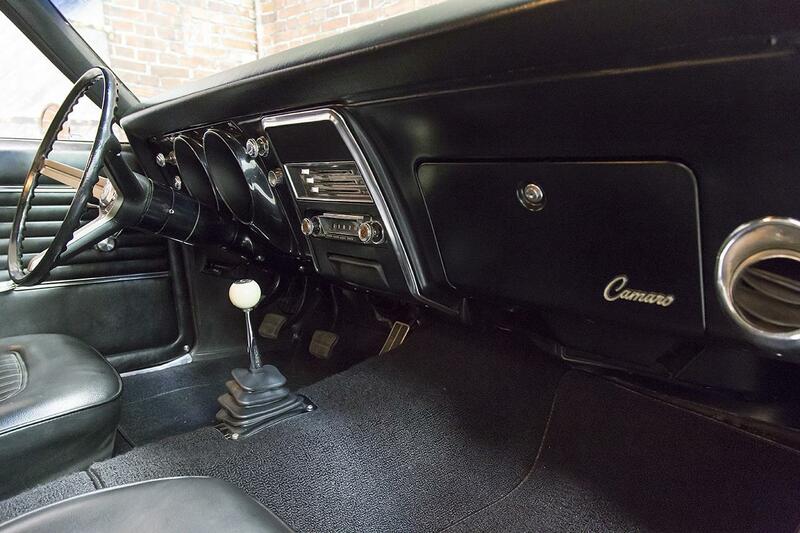 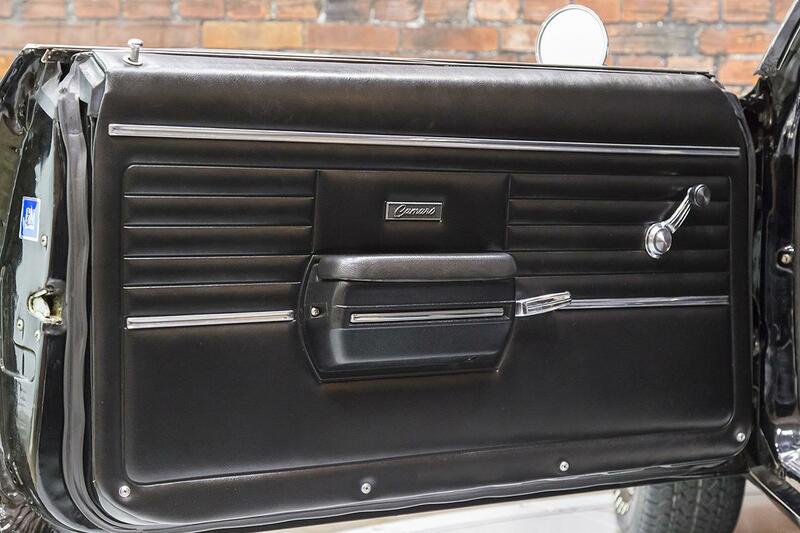 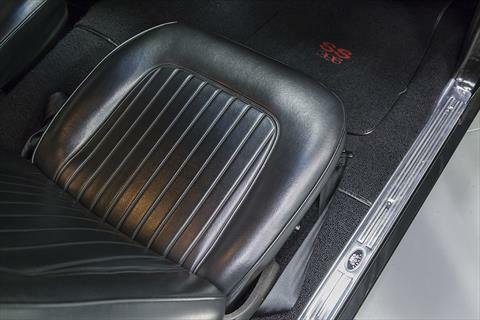 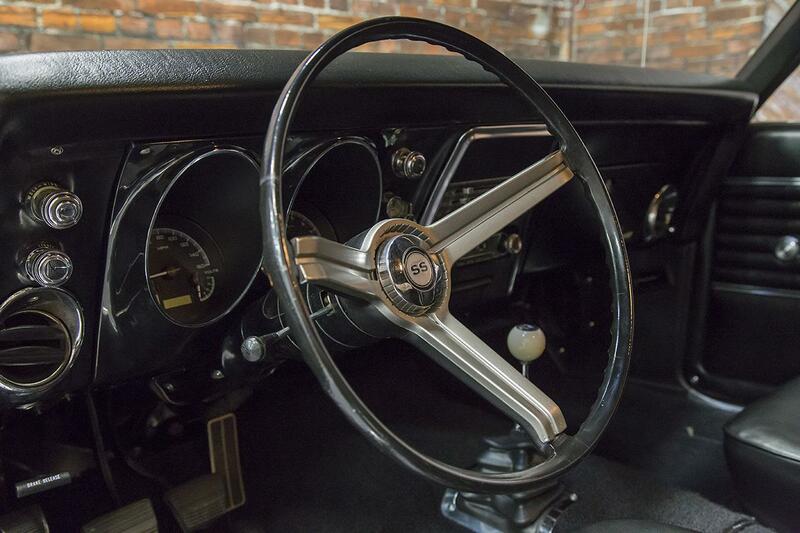 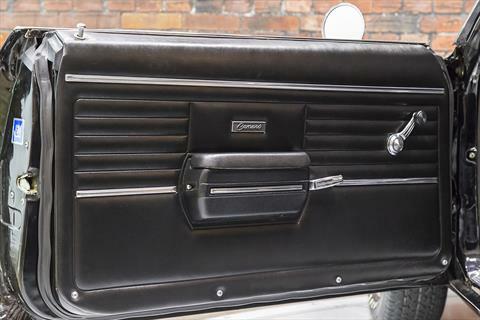 The interior of this car, from its Dakota Digital gauges to the fresh carpet set, makes for a fantastic car to not only see, but to be seen in!